Odisha State Health and Family Welfare Society invite application from eligible candidate for the post of District Accounts Manager and Account Manager. 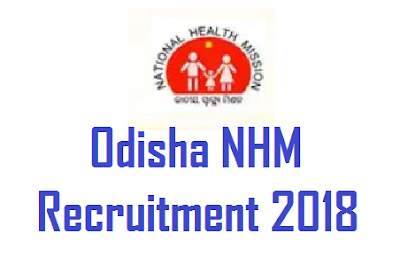 Eligible candidates can fill the application form for the same posts under National Health Mission, Odisha on the contractual basis. All details described below and you can download notification regarding these post from the download link given below. Age: 21 years as on 01.08.2018 and up to 40 years. Note: Please read official notification carefully before applying for the posts.